Lawrence’s Francis M. Leahy School will be one of the schools closing early all week because of forecast extreme heat. Public schools in Lawrence and Haverhill will dismiss students early this week due to the forecast high temperatures. Lawrence schools will run early dismissal schedules from Monday to Thursday this week, and Haverhill schools will have short days on Tuesday and Wednesday, announcements on the districts’ websites said. Lawrence administrators also canceled all classes for preschool students, which were scheduled to begin on Monday. 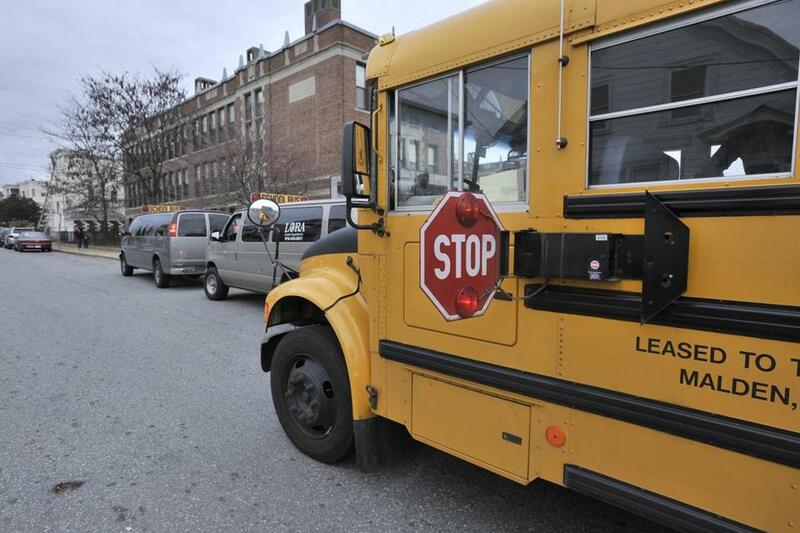 Students in grades 1 through 12 began school last Tuesday in Lawrence, and will begin this Tuesday in Haverhill, according to online academic calendars. The National Weather Service issued a statement warning that heat advisories would likely be needed for most of southern New England on Tuesday and Wednesday as maximum heat indices are predicted to reach between 100 and 105 degrees. “The combination of extreme heat and humidity poses the risk for heat-related illnesses,” the statement said. Both school districts also ran half-day schedules during a heat wave in June. Haverhill Superintendent Jim Scully said at the time that not all the schools in the district have air conditioning, and that some buildings have poor ventilation.